I know it hurts. I know why the tears stream down your face and your hand clenches your child’s jacket. The shock keeps piercing your insides like huge thunderbolts, filling your soul with the horror at all the madness you see in the streets. It is not a dream, my friend, it is the beginning of an age long ago foretold – an age when the millions would vanish and there would be chaos on the earth. Welcome to the nightmare, welcome to the Tribulation. Let me explain to you what is happening to your world. Your children are not forever lost – they are in the comforting arms of Christ, taken with all the believers of the Lord into heaven. This is called the Rapture. It was an ascension, you see, beyond the bounds of this world into the primal home where the Lord resides. Paul in the New Testament spoke of such a time as this, in certain chapters in First Corinthians and First and Second Thessalonians. They are now before the Throne of God, your little ones of innocence and all those who gave their hearts to Jesus. Do not listen to those that would explain what has happened. 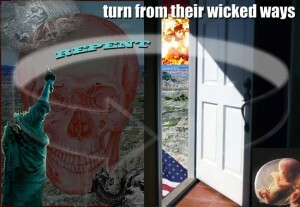 It is the Lord who has taken the souls from this earth, to keep them from the time of testing (Rev. 3:10) already engulfing the whole earth. Understand this, my friend, I speak to you from the other side of this world, even now I whisper to you from the great glory of God’s kingdom – this letter I leave to you as a roadmap to the coming perils and as a jolt of inspiration from the lands of joy. The message is this: You are not alone, the time is now at hand. Please, stop your weeping and release your memories for the confusion will soon pass. A time is coming, a leader who will unite the world and ask for your allegiance. The chaos you now see, it is but a precursor to the horror to come. Look to the far lands, look to Israel and the signing of a covenant guaranteeing peace in the region for seven years. 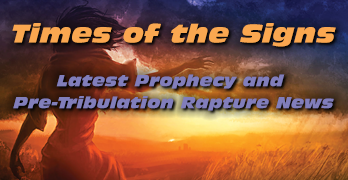 It is the start of the period spoken of so passionately in Daniel chapter 9 and by the Hebrew prophets – it is called the Tribulation, a period when evil will roam this earth as in the days of Noah. Do not trust anything you see or hear. Trust only in the living power of God’s Word, the Bible you always keep hidden under layers of useless items in your desk drawer. Pick it up and read of the prophecies. Read the book of Revelation and let your eyes SEE what the Lord has in store. Let all else leave your mind and bend down now in your room and accept the whisperings of the Lord into your heart. He is moving now, the Holy Spirit through all the earth looking for souls to stand against the coming evil. I speak to you with all my heart – accept the promises that God has given. There is no possibility for a future without Christ, and there is no chance you will ever see your children again without the grace of God in your heart. It is an ancient story, this drama you see unfolding before you. What is madness now is but the greater plan of salvation. It is the judgment that all souls knew was coming – including you. What you see before you will lead to the final battle of this age – in a plain in Israel called Megiddo, also known as Armageddon. Understand this one thing, friend, even though you cry now, with the Lord’s power in your heart you can live with joy. Christ has come for his believers, but He is coming again to destroy the man about to take over the earth – the Antichrist. All these things I tell you as warning, open your heart to the Lord now so you can walk without fear and without tears in the days that remain. It will be seven years after the mysterious man helps forge a peace agreement between Israel and the Palestinians before the Lord returns in all His glory and the kingdom is established for 1,000 years. Hear what I am saying to you! Arise and cease your weeping! What you have seen does not even compare with the madness of the Antichrist’s reign. He will issue a mark (a chip to be inserted under the skin) that will be forced upon everyone in the world (Rev. 13). It is your task now and throughout the Tribulation to resist every evil that comes upon you and to join with others against this tyranny. The world will accept this evil empire, but you must not. For it means the damnation of your soul and a place so dark and empty you will never hear your children’s voices again. I do not wish to scare you, but the time for small talk is long gone. You must believe no matter what else happens that Christ is Lord of all creation and He is in control no matter how insane the world becomes. And it will get insane – Christians will be slaughtered and the world’s people will become slaves to a Man (the Antichrist) who will deceive many with philosophies that tickle the ear and signs that seem wondrous. Yet is all a sideshow, my friend, a last ditch effort by Lucifer to control the world and annihilate mankind. But I give you a promise – this period of utter darkness and madness will end. You will see many wars and many terrible natural disasters and demons will walk the earth as with eyes of fire, but gaze beyond the flames of the world to the land that waits beyond. For He destroyed evil on the cross at Calvary- He died so that all could live. His Kingdom is more glorious than I can describe. I see all my friends here, all those that have Christ’s radiance on their faces. I swim as in golden dawns and feast on the great glory of God. Listen to me, friend, He knows your pain, and He knows the darkness that you see around you now. But listen, turn your heart through all the searing pain into the still small voice of God and know that He is all creation, He is all meaning and He will come back and consume those ravaging this world. It is beauty beyond description in His Face. I have seen the glory of the Living One, and I tell you He is coming with light as of a billion suns to light the world and proclaim His majesty! It was always His world, friend. Do not fight Him: fight those who oppose Him. Leave the cities and the false lies that are spreading. It does not matter where you go, so long as you are with a band of believers who have chosen to resist the Mark of the Beast. There is no New World Order; it is an ancient lie like the time men tried to reach to the sky at Babel. As for the Antichrist, even though he proclaims himself as God in the Temple in Jerusalem midway into this seven years, do not fear – for the terror will begin and signs such as the earth has never seen, but you can be at peace in the protecting shadow of the Lord’s wings. Have courage and turn to the hand of God and let him guide you to those that have chosen to believe. The fight is on, and we are behind you, singing and shouting for the victory to come. Jesus said, “In this world you will have tribulation, but take courage, for I have overcome the world.” (John 16:33). Remember these words and read all of the Lord’s precious sayings, especially Matthew Chapter 24. The Word of God is your greatest weapon against lies and deceit. And now I tell you to rise, my friend, put down all that you are doing and walk in faith with the power of the Holy Spirit and the strength of a thousand believers. The time is short and He is coming with His glorious multitude of angels and believers. I send you this last promise – Paradise is all you can ever dream and so much more. The light is so brilliant and my heart leaps with unbelievable ecstasy! The beauty brings forth the praise; it gushes from us in shimmering waves. I wait for you and long to talk with you in the lands of glory. All of us are here, for as believers we are all your brothers and sisters in Christ. And He is here, the most beautiful Being in all creation. I keep lifting into His glory and the song keeps pouring forth from my lips, “Holy, holy, the Lord God Almighty!” It is so glorious! Soon, my friend, after the nightmare is over and evil recedes to a memory, you will be singing with us. And I will greet you at the gates and take you to the Lamb at the center of the Throne, and He shall wipe away all your tears and all your sadness as He gently takes you into His eternal embrace. The Blackouts of 2003 in the United States and Italy, a time when people can’t see the Light. In light of the recent blackout in the United States its interesting that the entire country of Italy experienced their worst blackout since World War II on September 28th. Whats even more interesting is that the Italian blackout happened on the Sunday that the Pope announced a new set of cardinals. Speaking of popes and cardinals, a new movie called ‘Luther‘ starring Joseph Fiennes, which chronicles the beginning of the Protestant Reformation by Martin Luther has just been released and it’s a ‘must see’. I had mediocre expectations of this movie and was gratefully surprised at what a gem it turned out to be. Even Catholics should see this movie, ( especially Catholics ). BLACKOUT… a time when people can’t see the Light. 4 days later after the largest blackout in history and we still don’t know the exact cause. Al Qaeda is claiming responsibility, but that doesn’t mean anything since lying and deception are such an instrinsic part of their culture. Millions of people were affected; some were simply inconvenienced while others suffered greatly. People were trapped in elevators for hours, each grocery store probably had to trash in excess of $ 1 million in perishable food, people slept in the streets because they couldn’t get home or were evicted from the hotels they had been staying in. Thankfully looting wasn’t a big problem, despite the summer heat. In the Book of Exodus one of Lord’s judgements against Egypt was darkness that covered the land. The fifth angel poured out his bowl on the throne of the beast, and his kingdom was plunged into darkness. Men gnawed their tongues in agony and cursed the God of heaven because of their pains and their sores, but they refused to repent of what they had done. Surely he will save you from the fowler’s snare and from the deadly pestilence. He will cover you with his feathers, and under his wings you will find refuge; his faithfulness will be your shield and rampart. You will not fear the terror of night, nor the arrow that flies by day, nor the pestilence that stalks in the darkness, nor the plague that destroys at midday. A thousand may fall at your side, ten thousand at your right hand, but it will not come near you. You will only observe with your eyes and see the punishment of the wicked. If you make the Most High your dwelling- even the LORD , who is my refuge- then no harm will befall you, no disaster will come near your tent. For he will command his angels concerning you to guard you in all your ways; they will lift you up in their hands, so that you will not strike your foot against a stone. You will tread upon the lion and the cobra; you will trample the great lion and the serpent. It seems true that interest in the 2nd Coming of Christ has waned in these recent months, despite record breaking temperatures, the largest blackout ever, the ordination of homosexual priests, and the push for Israel to give up their land. The appointed time only draws nearer.